It was at the 1973 Isle of Man Senior TT that Australia’s Jack Findlay (Suzuki) earned Michelin’s maiden 500cc victory. Three years later, Briton Barry Sheene (Suzuki) clinched the first of the firm’s 28 world crowns. 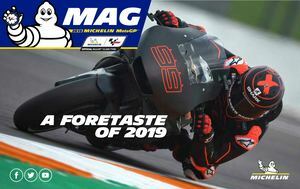 In the four decades since, Michelin has continued to add to its list of premier series race wins and titles. Today, with 28 world titles and more than 400 individual victories to its name, it has been named official MotoGP™ tyre supplier until 2023. 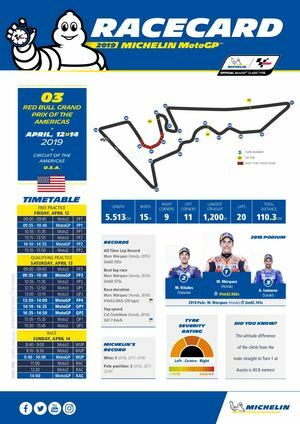 All you need to know about the Gran Premio Motul de la República Argentina, 2nd round of 2019 MotoGP championshipClick on the photo to download the racecard.